Hi! 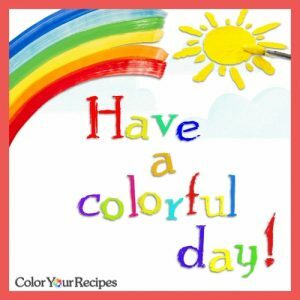 I am Juliana, the person behind Color Your Recipes, you just landed at my store page. Here you will find a selection kitchen gadgets, pans and pots to special ingredients that I personally have used in my recipes. I will not in anyway share opinion in stuff that I have never used. Please feel free to browse my store and check them out…if you have any question, please feel free to contact me and I will be more than happy to tell you more about these items. Please notice that Color Your Recipes is affiliated to Amazon, therefore I might get a small fee if purchase is done through the site.